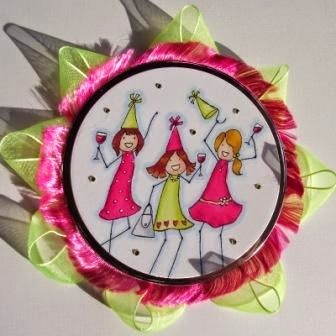 I think it's about time I did a post spotlighting a digital stamp - and today it's the girls celebrating digital stamp. I wanted to show you some of the cards (and more!) that the design team came up with using this one stamp - I love their makes and hope you do too! Emma's card - have fun! It's such a fun image, and I love that all the design team's creations are such fun too! 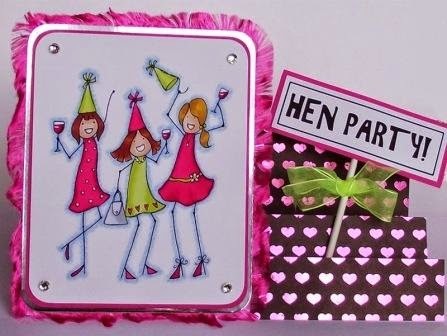 You can buy the girls celebrating stamp over at the Handmade Harbour shop. As with all our digis, it's an instant download so you can get crafting immediately. As in right now. But only if you want to!